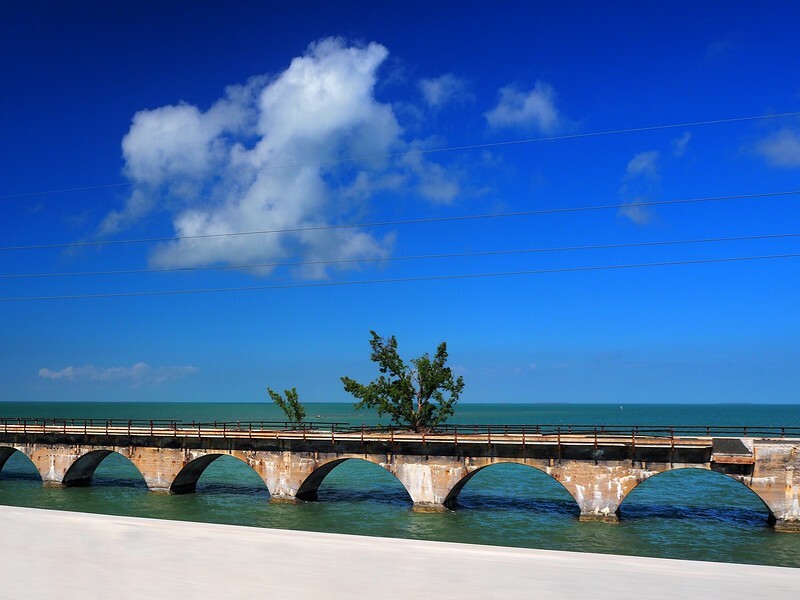 Years ago, work took me to Key West, Florida; a type of work that did not allow The LovedOne to join me. 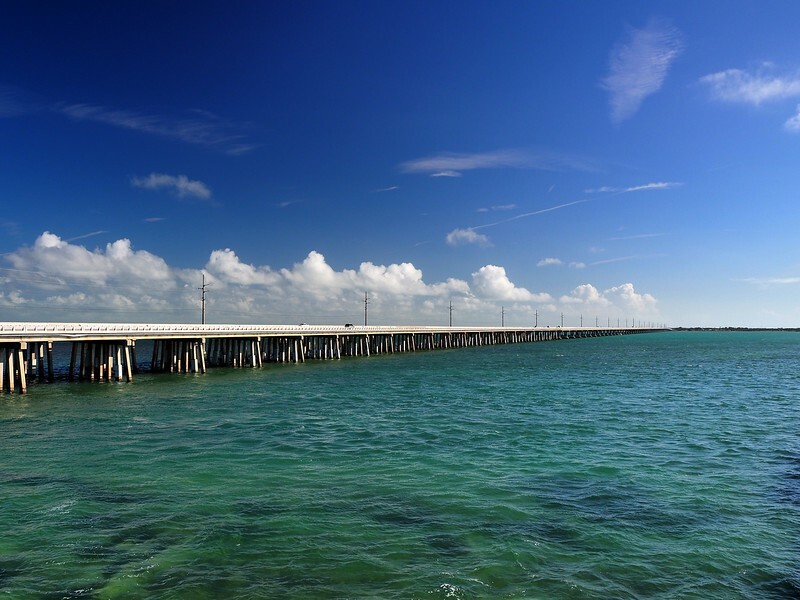 So when she expressed an interest in seeing Key West for herself, we planned a mid-winter trip to drive the Overseas Highway (I’d only flown to Key West before), spend a few days in the Keys, and also visit some of the national parks in South Florida. Our thinking was that this would be a nice break from the snowy winter we were expecting, and from all the snowshoeing we’d be doing. Well, we haven’t had much snow or any snowshoeing, but it was a very nice break just the same. We prepared ourselves for our visit by re-reading some of Carl Hiaasen’s nominally fictional novels about life in South Florida. 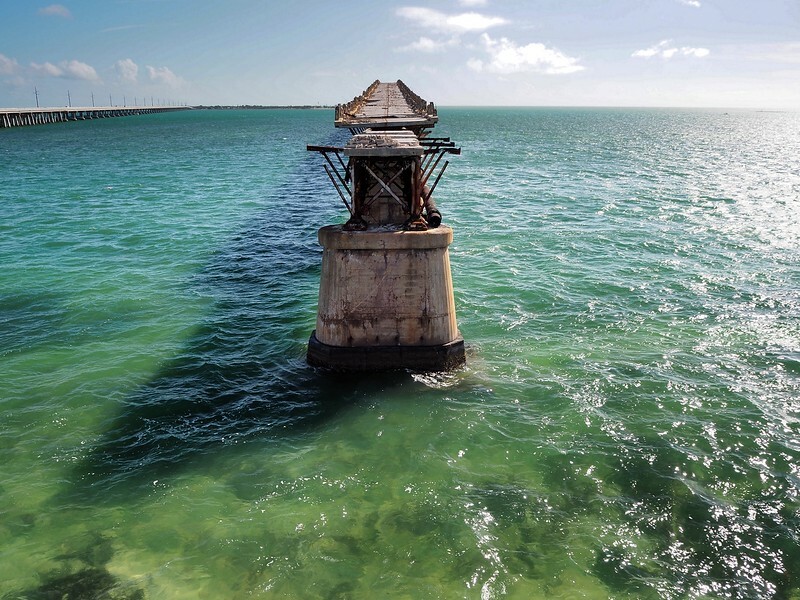 Call them “fiction” but his stories do capture the eccentric and frenetic gestalt of Miami and points south along the Keys. 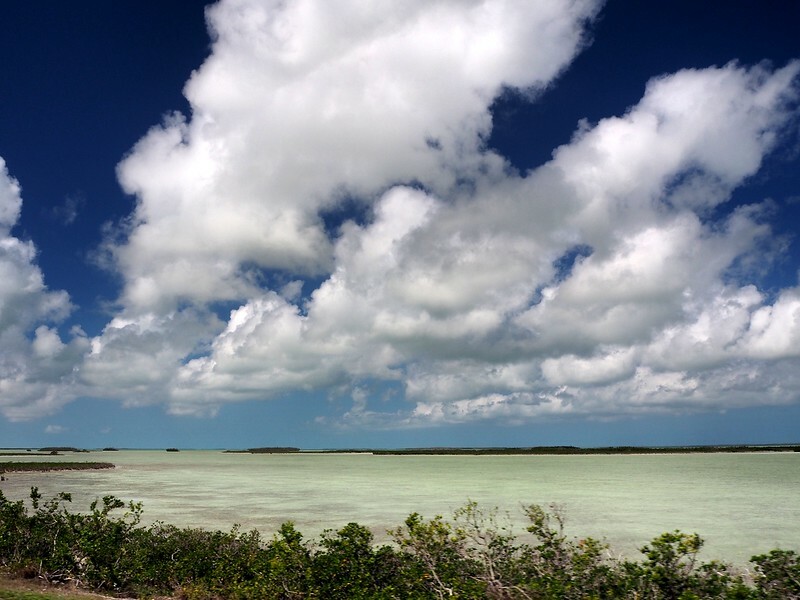 The Conch Republic has its own special take on different, so Hiaasen’s Bad Monkey is essential reading for Key West visitors! 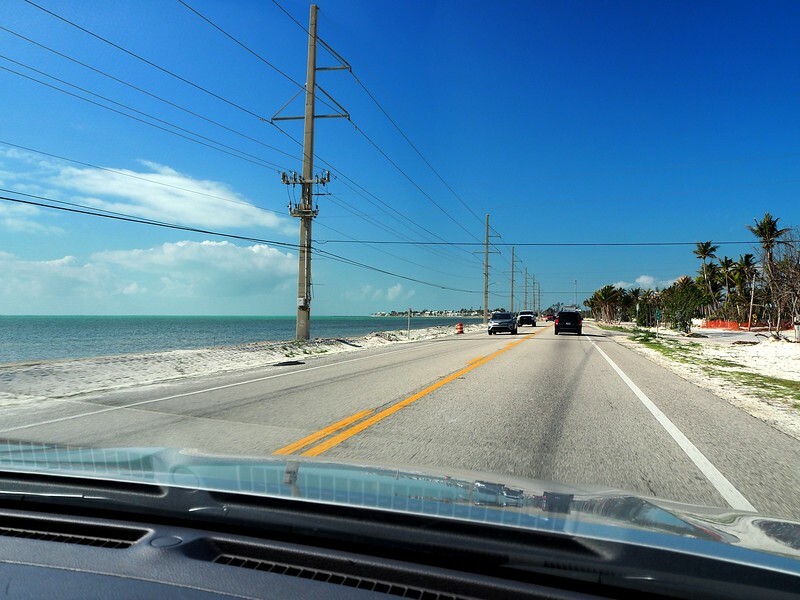 We flew Delta (excellent boring flights) to Miami, Florida, then drove to Homestead, Florida for the night. What’s not “fictional” about Miami and environs are its traffic jams, which feature world-class vehicular paralysis. So it took us two hours to cover the 30 miles from the airport to Homestead. 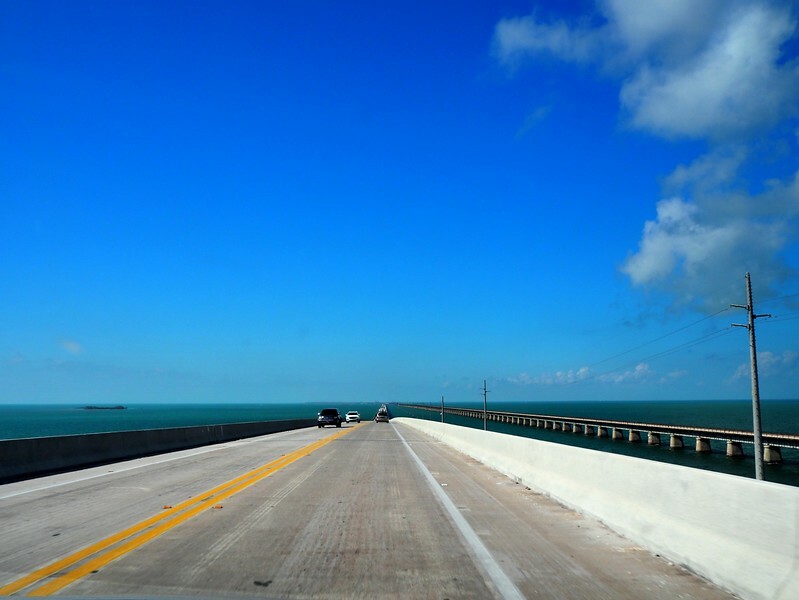 Next day, we got on U.S. Highway 1 early (to avoid traffic that, fortunately, never materialized) and headed south toward Key West. 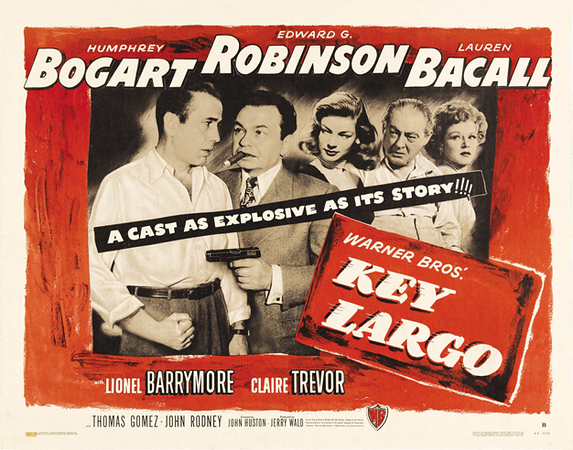 We allowed ourselves a little movie nostalgia as we passed through Key Largo heading south – we’d stop there for lunch on the way back. 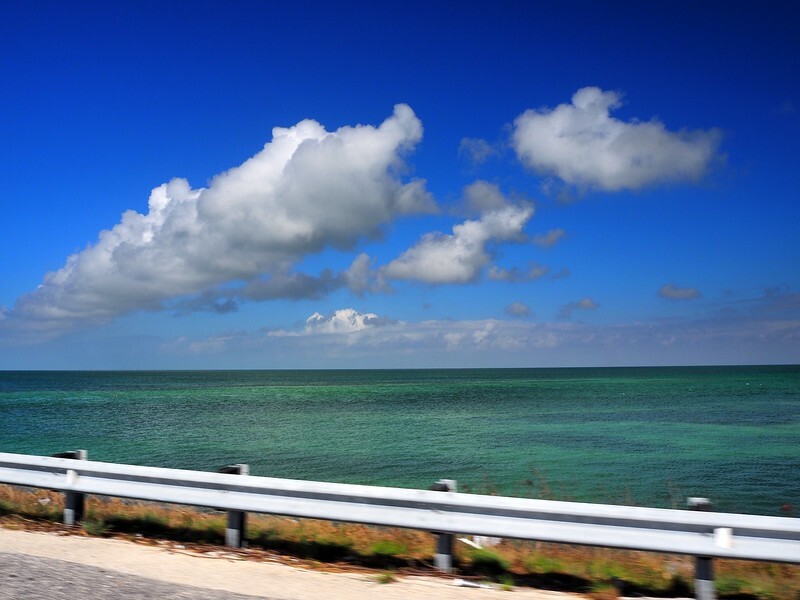 It’s called the Overseas Highway because it is just that, a road suspended over the ocean for miles and miles. 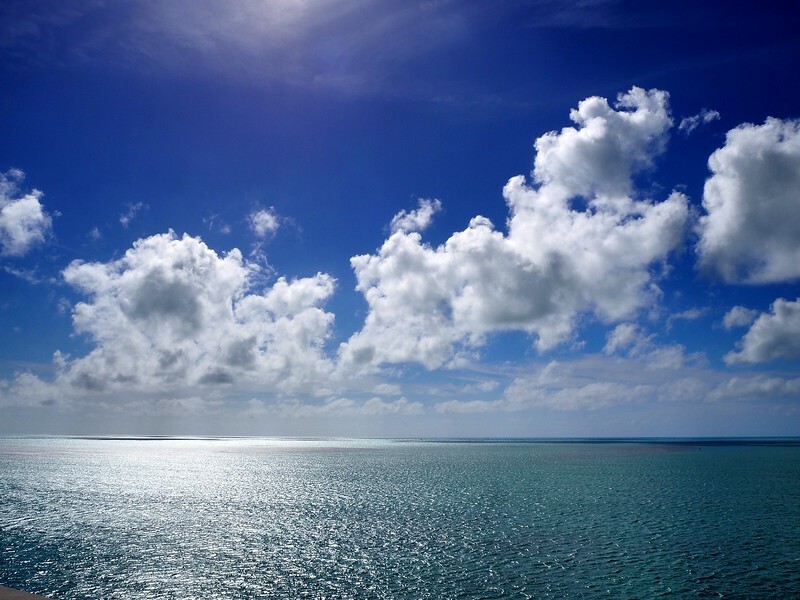 The views it gave of the azure, aquamarine, and turquoise waters of the Gulf were amazing! 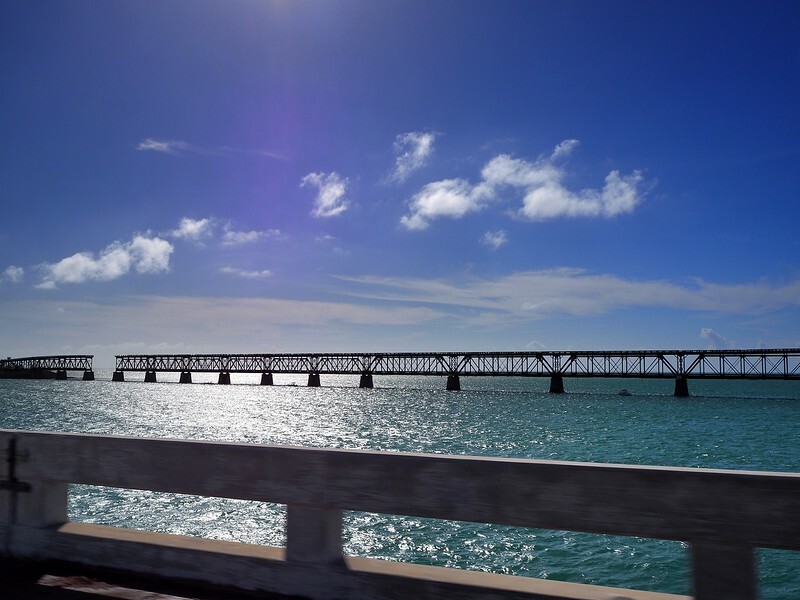 The dramatic expanse of open water between Boot Key and Bahia Honda Key was originally bridged (Seven Mile Bridge) by Henry Flagler’s Overseas Railroad (an extension of his Florida East Coast Railway). 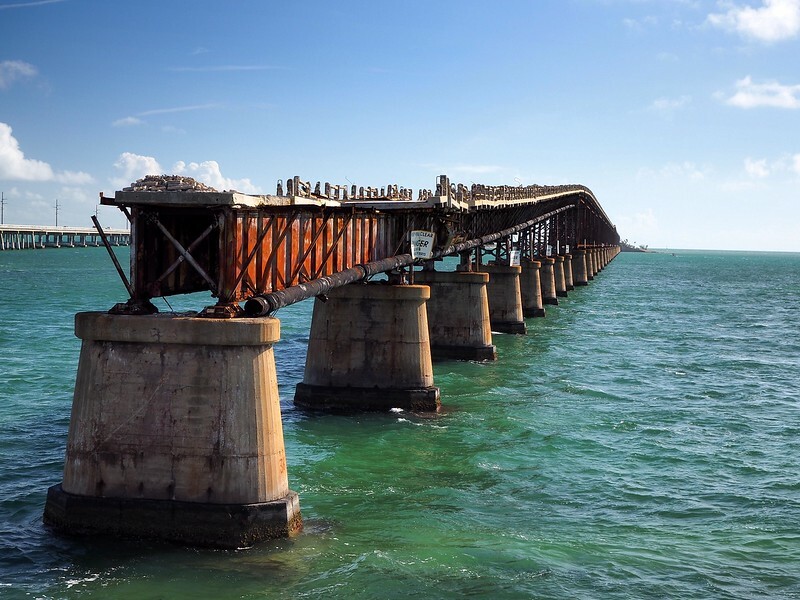 but the amazingly scary old rail bridge and highway were still hanging in there – despite signs warning of falling debris. This was one narrow road, held up by thin-looking struts sticking out from the rail girders. Much has been written about the white knuckles that ensued when heavy trucks – or those giant 1950s cars with fins – passed each other on this aerial nightmare. While we standing amidst the broken concrete at the end of the bridge, we heard scrabbling and looked down to find a group of iguanas staring at us. 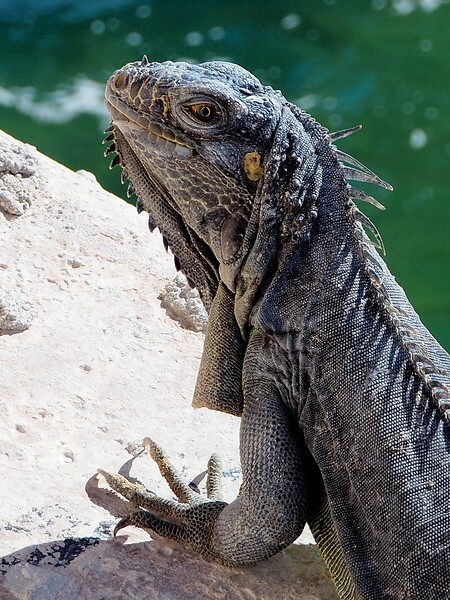 There are iguanas native to the Keys and others that are harmful invasives – we couldn’t tell which ones these were. 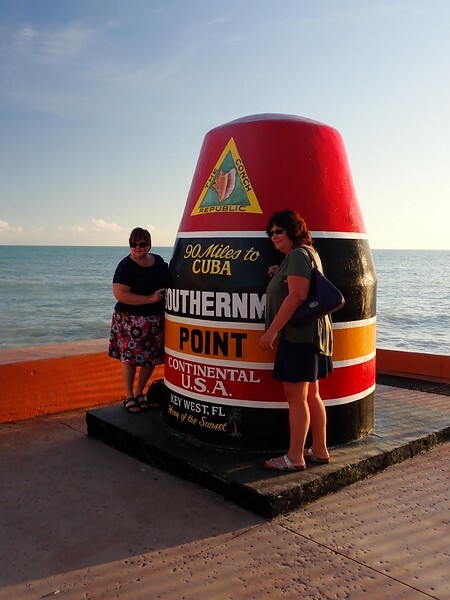 Some 127 miles from Homestead, we pulled into Key West, heart of the Conch Republic. 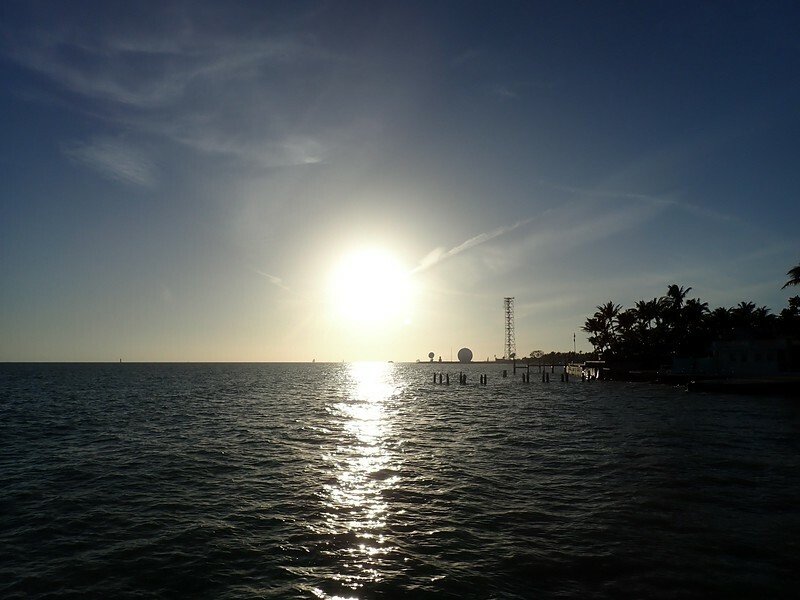 To maintain our cover as tourists, we had to visit the southernmost accessible point in the Continental U.S. for the obligatory sunset shot. But it was so thronged with other tourists that we just took a picture of them instead (if our visit had coincided with the arrival of one of the cruise ships we might not have been able to do even that). Whitehead Spit, a few hundred feet from the Southernmost Point, is technically further south, but it’s on a U.S. Navy base that is definitely not accessible to the public. 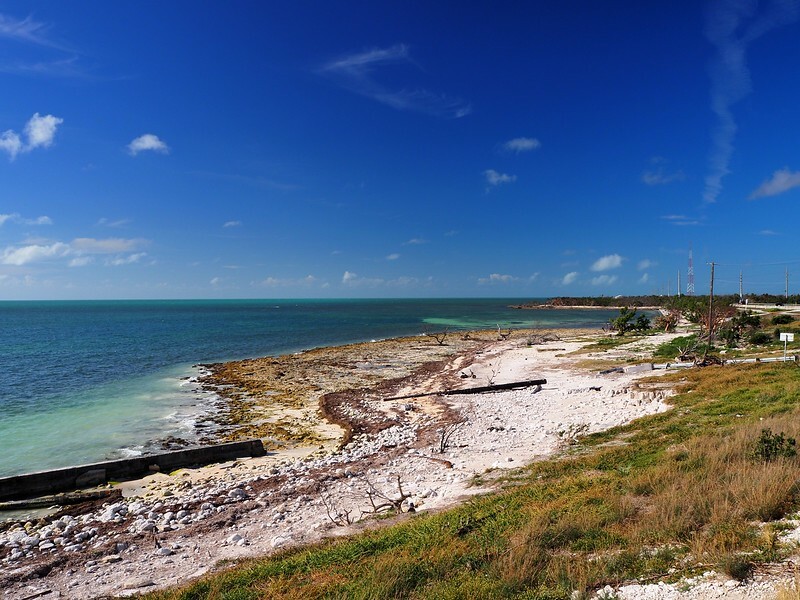 So the Southernmost Point is really the Southernmost Point that you can actually get to in the continental U.S.